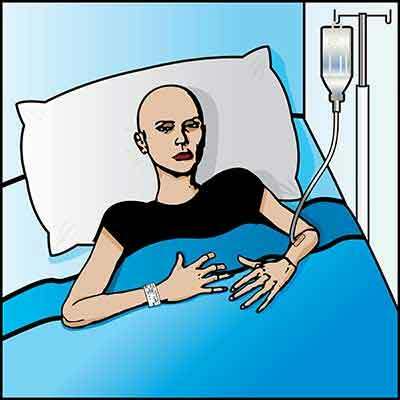 Hair loss during chemotherapy is a common phenomena. It is also a cause of worry for many patients, especially women, with highly reported fall in self esteem and confidence in such patients, adding to the trauma of the disease. In a first of its kind trial in the country, doctors at Tata Memorial Hospital have started a clinical trial using technology to minimise hair loss due to chemotherapy reports the Hindu. The said trial will begin with four breast cancer patients initially, and will use a scalp cooling technique to restrict chemotherapy medication from reaching the scalp, thus reducing hair fall. The machine has two scalp coolers, which are essentially specialised inner silicon caps containing coolants at temperatures of up to minus four degrees centigrade. The technique is widely used in the U.K. and the machine hase been brought to India free of cost. The machine circulates the coolant in the caps, reducing its temperature and consequently blood supply to the scalp. As chemotherapy medication is given intravenously and circulated through the blood, the scalp gets less blood and thus less of the medication adds the daily. The trial will be headed by Dr. Jyoti Bajpai, associate professor, Department of Medical Oncology, at Tata Memorial Hospital. Speaking about the mechanism of the trial to Hindu, she elaborated that the randomised trial shall be conducted over a year, and will consist of two arms: one with 34 patients who will be put on scalp coolers, and the other with 17 patients who will not be using the machine. All participants will start the trial from the first chemotherapy cycle. “We are taking non-metastatic patients in whom the cancer hasn’t spread. Also, to maintain uniformity, we have taken patients who are on Taxane- and Anthracycline-based chemotherapy,” Dr. Bajpai says. She adds that usually, patients are administered chemotherapy in two phases: four cycles of Anthracycline-based treatment before surgery and four three-weekly cycles or 12 weekly cycles of Taxane-based medication after surgery. Women participating in the trial will begin using the scalp cooler 30 minutes before starting chemotherapy and continue for an hour to 90 minutes after it has been completed. Doctors are maintaining pictorial records to evaluate the scalp cooler’s effect during every cycle. To read more about the trial, click here.